Our flagship project is Owendale in central New South Wales, one of the largest and highest grade scandium deposits in the world, which has the potential to become Australia’s first scandium producer with cobalt, platinum and nickel credits. A Definitive Feasibility Study is underway and due for completion in late 2018. 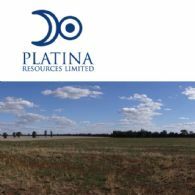 Platina Resources Limited (ASX:PGM) (OTCMKTS:PTNUF) present their report on the Company and its controlled entity for the half-year ended 31 December 2018. 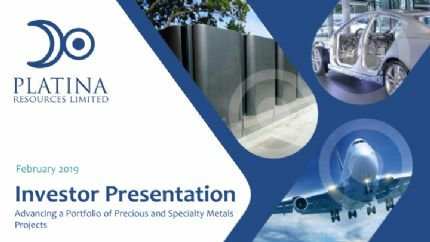 Platina Resources Limited (ASX:PGM) (OTCMKTS:PTNUF) provides the Company&apos;s latest Investor Presentation. Platina Resources Limited (ASX:PGM) (OTCMKTS:PTNUF) provides the Company&apos;s Quarterly Activities Report. Platina Resources Limited (ASX:PGM) (OTCMKTS:PTNUF) is pleased to advise that is has received a Research and Development refund claim totalling $1.1 million before costs. Platina Resources Limited (ASX:PGM) (OTCMKTS:PTNUF) is pleased to provide an update on the Skaergaard project in Greenland. Platina Resources Limited (ASX:PGM) (OTCMKTS:PTNUF) provides an update on aluminium-scandium master alloy production test work for the Platina Scandium Project in New South Wales. Platina Resources Limited (ASX:PGM) (FRA:P4R) (OTCMKTS:PTNUF) is pleased to announce it has signed a Memorandum of Understanding ("MOU") with Metalysis Limited, a UK technology company focused on the development of metal alloy powders, to assess the technical and economic feasibility of using its innovative solid-state process to produce a scandium rich master alloy. Platina Resources Limited ("Platina") (ASX:PGM)(OTCMKTS:PTNUF) is pleased to announce a 5% increase in the Ore Reserve estimate for its 100% owned Platina Scandium Project (PSP) in New South Wales, Australia. 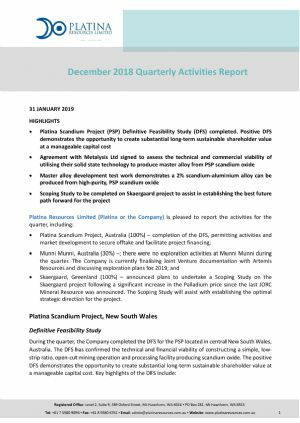 Platina Resources Limited (ASX:PGM) (FRA:P4R) (OTCMKTS:PTNUF) is pleased to report the findings of a Definitive Feasibility Study ("DFS") for the Platina Scandium Project ("PSP") located in central New South Wales, Australia. Platina Resources Ltd (ASX:PGM) is pleased to advise that hydrometallurgical testwork, a major part a scoping study at the Company&apos;s Owendale Scandium Project is now complete. 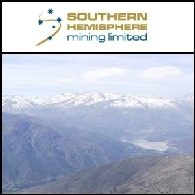 Platina Resources Ltd (ASX:PGM) (OTCMKTS:PTNUF) is pleased to announce that SNC-Lavalin Australia Pty Ltd have been commissioned to develop and manage a comprehensive hydrometallurgical test work program for the extraction of Scandium and associated metals (Copper, Cobalt, Nickel and Platinum) from the Owendale Deposit. 2014 Quarterly Activities Report on Platina Resources Limited&apos;s (ASX:PGM) 100%-owned Owendale Platinum, Scandium, Nickel and Cobalt Project in Australia. Platina Resources Limited (ASX:PGM) Owendale scandium and platinum project in New South Wales remains the highest grade laterite-hosted scandium deposit discovered globally, and offers a stable and potentially large tonnage scandium production. Platina Resources Limited (ASX:PGM) Owendale Scandium is the highest grade, laterite-hosted scandium deposit discovered globally, and offers a stable and potentially large tonnage operation. Current world consumption of scandium is approximately 8 tonnes per annum, however, research and development indicates significant future demand for scandium in the aerospace industry and fuel cell technology. Platina Resources Ltd (ASX:PGM) (OTCMKTS:PTNUF) is pleased to announce that it has signed a Heads of Agreement (HoA) with Hunan Oriental Scandium Co. Ltd, the largest Chinese manufacturer and processor of scandium. 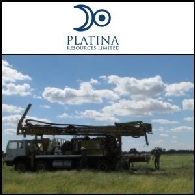 Platina Resources Limited (ASX:PGM) is pleased to report its activities for the June 2014 quarter on the Company&apos;s 100%-owned Owendale Platinum, Scandium, Nickel and Cobalt Project in Australia and new projects in Western Australia. Platina Resources Ltd (ASX:PGM) is pleased to announce that it has signed a Heads of Agreement (HoA) with Chinese manufacturer Inner Mongolia Honfine Zirconium Industry Co Ltd (Honfine) to negotiate both an Off-take Agreement and a Supply, Technology, Processing and Marketing Agreement for the Company&apos;s Owendale Scandium Project in central New South Wales, Australia (refer Figure 1). Platina Resources Limited (ASX:PGM) (OTCMKTS:PTNUF) is pleased to report its activities for the March 2014 quarter on the Company&apos;s 100%-owned Owendale Platinum, Scandium, Nickel and Cobalt Project in Australia and new projects in Western Australia. During the half-year the principal activities of Platina Resources (ASX:PGM) consisted of exploration and evaluation of the group&apos;s precious metal holdings. Platina Resources Ltd (ASX:PGM) (OTCMKTS:PTNUF) is pleased to provide the following details of key activities to be completed at Owendale over the next two months and an up-date on other activities to progress the Skaergaard and Rason projects. 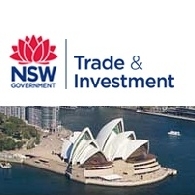 Platina Resources Limited (ASX:PGM) (OTCMKTS:PTNUF) is pleased to announce receipt of a $496,000 cash refund under the Federal Government&apos;s Research & Development Incentive Scheme. 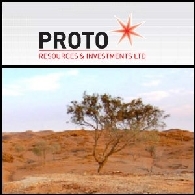 Platina Resources Limited (ASX:PGM) advises that the Prospectus for the Non-Renounceable Rights Issue announced to the ASX on 10 February 2014 was dispatched to all eligible shareholders on Friday 21 February 2014, together with personalised entitlement and acceptance forms. 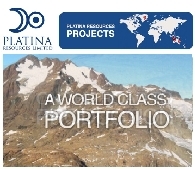 Platina Resources Limited (ASX:PGM) is pleased to report its activities for the December 2013 quarter on the Company&apos;s 100%-owned Owendale Platinum, Scandium, Nickel and Cobalt Project in Australia, the Skaergaard Gold and PGM Project in Greenland and new projects in Australia. 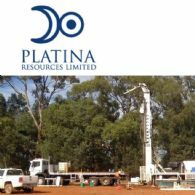 Platina Resources Ltd (ASX:PGM) is pleased to announce that it has received more significant assay results from a follow up program of 1,170 metres of reverse circulation (RC) drilling recently completed on the Company&apos;s 100%-owned Owendale Platinum, Nickel, Cobalt & Scandium Project in central New South Wales. Platina Resources Limited (ASX:PGM) is pleased to confirm that the Scoping Study on the Owendale Platinum & Scandium Project in central New South Wales is set to commence on the 4th of June. The scope of work has been awarded to Battery Limits Pty Ltd, a metallurgical consulting group based in Perth, Western Australia. 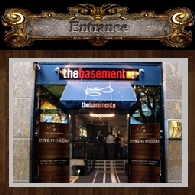 The Study is anticipated to be completed in the third quarter of 2012. 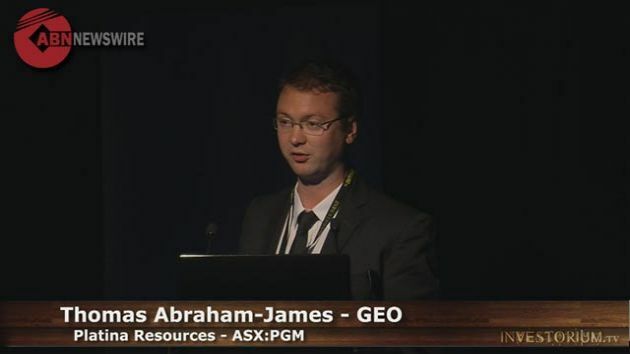 Platina Resources Limited (ASX:PGM) is pleased to provide a Company Update Presentation for May 2012. 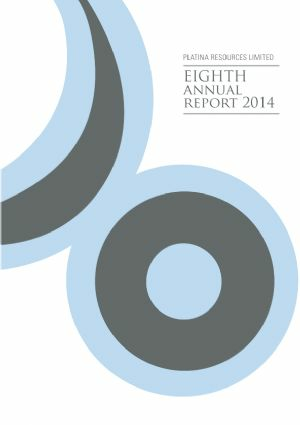 Platina Resources Limited (ASX:PGM) is pleased to provide its Quarterly Activity Report for the quarter ended 31 March 2012. Platina Resources Limited (ASX:PGM) wishes to announce the completion of the updated Resource Estimate for its 100% owned Skaergaard Gold & PGM Project, located in Greenland. The new Inferred Mineral Resource consists of 23Mt @ 2.3g/t gold, 0.7g/t palladium & 0.1g/t platinum, using a cut-off of 1.5g/t gold equivalent (AuEq). 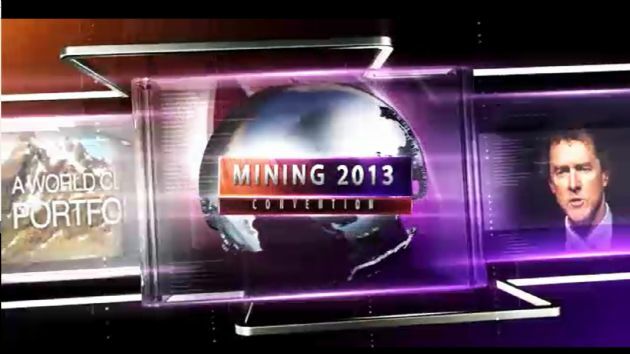 This gives a total contained metal of approximately 1.7Moz gold, 0.5Moz palladium and 40Koz platinum. The Resource Estimation adheres to the Australasian Code for Reporting of Exploration Results, Mineral Resources and Ore Reserves (JORC Code, 2004 edition). 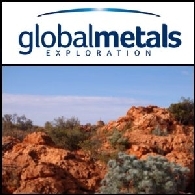 Global Metals Exploration NL (ASX:GXN) directors submit the financial report of the Global Metals Exploration NL (formerly Global Nickel Investments NL) and the entities it controls (referred to hereafter as "the Group") for the half-year ended 31 December 2011. Platina Resources Limited (ASX:PGM) are pleased to provide an Interim Financial Report for the half-year ended 31 December 2011. Platina Resources Limited (ASX:PGM) is extremely pleased to announce the maiden resource estimation for its 100% owned Owendale Platinum and Scandium Project, located in central New South Wales, Australia. A Mineral resource for platinum of 13.1 Mt @ 0.7 g/t Pt(~293,000 ounces) has been estimated at a 0.4g/t platinum cut-off. An Inferred Mineral resource for scandium of 4.8Mt @ 344g/t Sc (~1,700 tonnes) at a 200 ppm cut-off has also been estimated. A total of 46per cent of the platinum resource falls within the Indicated category.The resource estimation adheres to both the Australasian JORC Code, and Canadian National Instrument 43-101 guidelines. The entire platinum and scandium resource estimate is contained within the weathered profile and is situated less than 50 metres deep and would be amenable to mining by open cut methods. Platina Resources Limited (ASX:PGM) is pleased to confirm the receipt of all assay results from its recently completed 4,591 metre RC drilling program at the Owendale Platinum Project, New South Wales. The Owendale Platinum Project is a 100% wholly owned project, which covers the 30 square kilometre Owendale Igneous Complex. 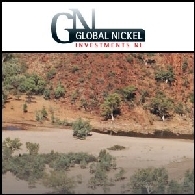 Global Nickel Investments NL (ASX:GNI) are pleased to announce that the Company has successfully completed an interim capital raising of approximately A$600,000 by the issue of up to 24 million fully paid shares. This capital raising has been conducted in order to purchase equipment for the Company&apos;s up-and-coming drilling campaign at the Mt. Cornell copper project (90% owned Global Nickel and 10% Corazon Limited (ASX:CZN)), Jutson Rocks copper-gold-nickel project (75% Global Nickel and 25% Cazaly Resources Limited (ASX:CAZ)) and Mt. Venn nickel-copper and Volcanic Massive Sulphide ("VMS") target project (80% Global Nickel in joint venture with Platina Resources Limited (ASX:PGM) holding 20%). 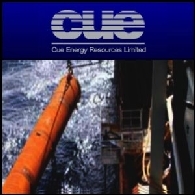 Australian Market Report of November 29, 2010 includes: Cue Energy Resources Limited (ASX:CUE) has signed a gas sale contract with PT Indonesia Power; Doray Minerals Limited (ASX:DRM) reported gold-silver results from Wilber Lode diamond drilling campaign in Western Australia; Platina Resources (ASX:PGM) reported high platinum results in NSW; Red Metal Limited (ASX:RDM) began drilling at the Corkwood Copper-Gold Project.